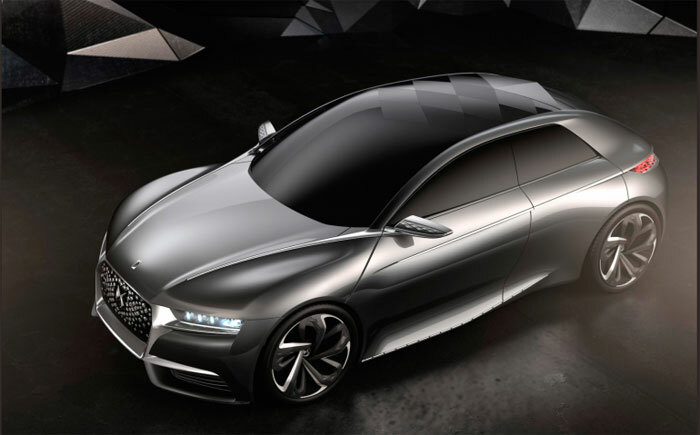 Citroen has been showing off a new concept car at the Paris Motor Show called the Citroen Divine DS. The car made its first appearance in September, but we are learning more about it in Paris. It has a reptilian design that has a design reminiscent of scales on the inside and outside of the vehicle. Citroen also uses a diamond pattern in the design of the vehicle. The car sits very low at 1.35meters tall overall and it is covered in metallic grey paint. The grille in the front has a diamond pattern on it with the diamonds in different shades of shiny material. One of the cool features is laser headlamps that have a front mount camera to keep them from blinding oncoming drivers. The laser headlamps work at speeds above 37 mph and they have Swarovski crystals in them for more bling. Inside the car the scales theme continues and it has a heads up display. The interior can be had in three trims form different designers including embroidery and crystals. Power comes from a 1.6L turbo gas engine that produces 270hp and 330Nm of torque. There is no word on if the concept car will go into production.